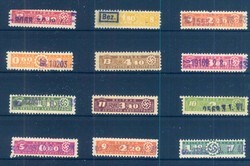 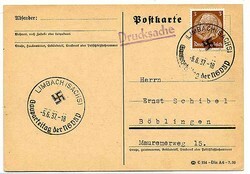 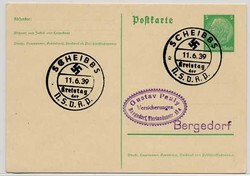 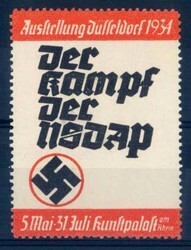 4 NSDAP " Parteibeitrag" stamps. 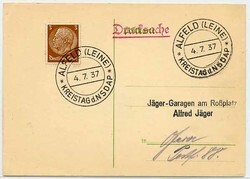 Details see picture. 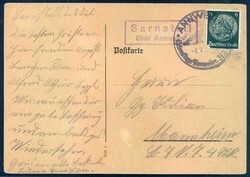 German Empire, details and condition see image. 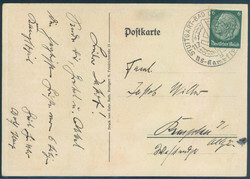 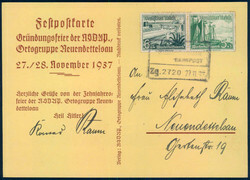 Mozart issue with special cancellation Boxing competition Germany-Denamrk cancelled on 22.11.1941, 6 days before issue! 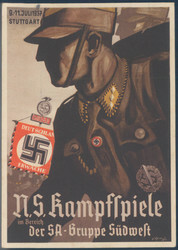 "N.S. 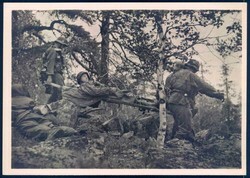 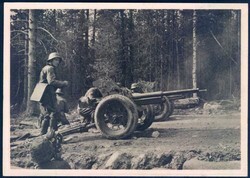 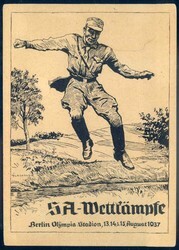 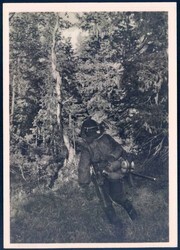 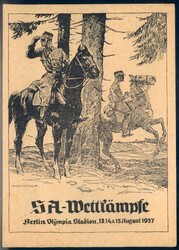 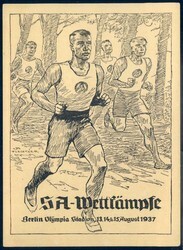 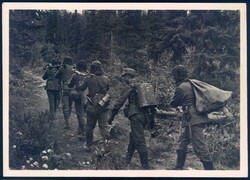 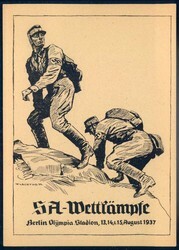 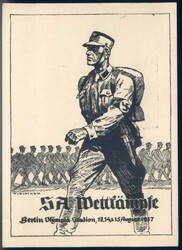 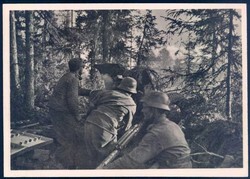 Kampfspiele im Bereich der SA-Gruppe Südwest 1937" advertisement postcard published by Gebr. 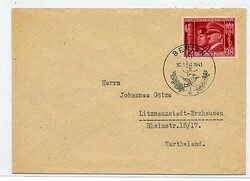 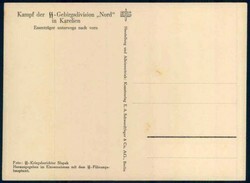 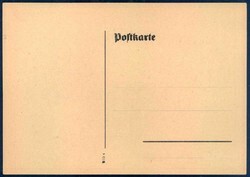 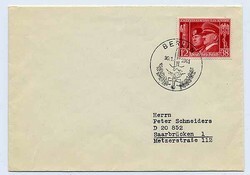 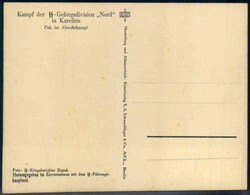 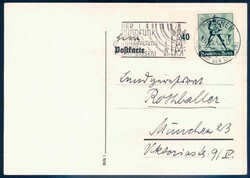 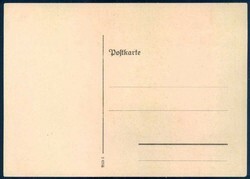 Rath, Stuttgart, real used with special cancellation. 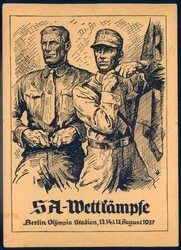 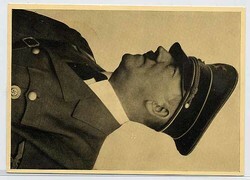 "Ausstellung Düsseldorf 1934 Der Kampf der NSDAP" propaganda vignette. 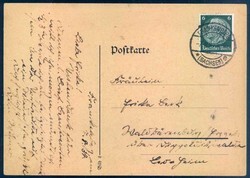 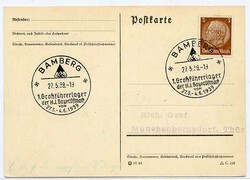 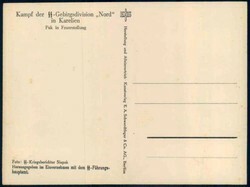 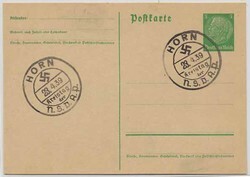 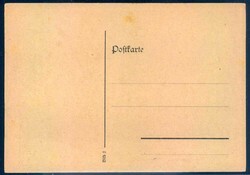 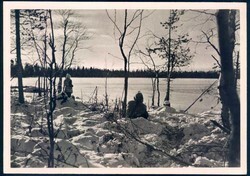 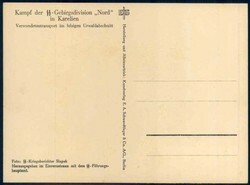 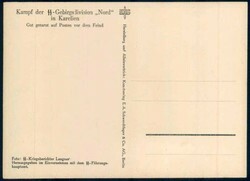 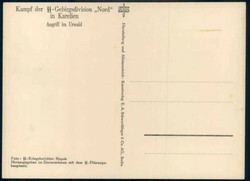 Postcard with special cancellation of the "1. 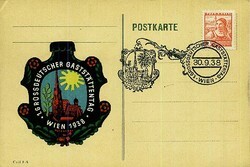 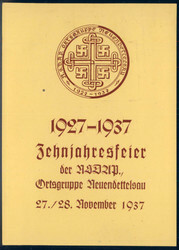 Grossdeutscher Gaststaettentag" 30.9.1938 in Vienna with very rare vignette.